Another missed PPTQ means more time to test. In addition to refining my own decks, I’ve been looking into Modern’s hot discussion topics. We’ve seen time and again that Modern’s cardpool hides monstrous decks just missing a piece or two to become major players. Several such decks have recently emerged that appear to have found those pieces. But based on testing I’ve done against them with UW Spirits, I’m not so impressed by UR Wizards or Bridgevine. Infect’s return is another matter. After more work, I’m finally happy with my flex slots choices in UW Spirits. The most glaring problems with Spirits are that if it runs out of gas, it struggles to recover, and it really needs some way to find Spell Queller in combo matchups. I tried Bygone Bishop and found it too clunky. Fortunately, Humans players were having the same problem, and solved it for me. I was initially wary of Bugler because it couldn’t find everything in Humans, and outside that deck, it had even fewer targets. Neither of these are problems for Spirits. The fact that it’s a hit off Bugler is also why I’m running Leonin Relic-Warder over Disenchant in the sideboard. Bugler has been phenomenal, and I’d argue it’s better in Spirits than Humans. Mantis Rider is usually the best Human, but isn’t a hit; Spell Queller is usually the best Spirit and is a hit. I’m only running two to still have room for Reflector Mage, itself a Bugler hit. I’ve also cut a Ghost Quarter for Remorseful Cleric. Part of the reason is the aforementioned gas problem, but the other is that graveyard decks are gaining ground. Cleric is mediocre-at-best-hate, but it’s maindeckable hate, and against combo decks, Cleric is as good or better than Spell Queller. Quarter was the cut because I was flooding a lot, and Quarter is the most situational land. Of course, UW is not the only nor necessarily the most popular version of Spirits. The perception is that Bant is, which I had trouble verifying. I don’t see Bant in paper or MTGO published results with greater frequency than UW Spirits, but it was also more popular at the Pro Tour. This may not mean anything, as Collected Company is a very powerful card that players naturally gravitate towards. It does mean that I’m constantly asked why I’m not on Bant, while Bant pilots are simply accepted. I feel UW is better positioned in this metagame. UW is better against control decks because Aether Vial lets the deck play exclusively at instant speed, and Vial coupled with Cavern of Souls negates countermagic. This makes is far easier to blank an opponent’s disruption. Bant is better against midrange decks because of the card advantage and tempo boost from Collected Company, and it has fewer dead cards: Noble Hierarch isn’t better in a vacuum than Aether Vial, but it’s never dead in the mid- to late-game and incidentally outs Ensnaring Bridge. The choice is also personal: each deck has strengths and weaknesses, and I’m more comfortable with UW’s weaknesses than Bant’s. Chiefly, UW is easier to grind out than Bant. Militia Bugler mitigates the problem but doesn’t solve it. Company is fantastic here because in a 30 creature deck it’s improbable not to hit, and anything but Birds of Paradise does something. By contrast, UW has to maximize the value it gets from Rattlechains and Selfless Spirit, which is a game I enjoy playing. Additionally, Bant’s manabase can be quite painful, especially in dorkless games. Every version I’ve seen maximizes its fetches and shocklands, opening Bant up to Burn and Blood Moon. UW’s two-color manabase is rock solid, and Vial is less vulnerable than Hierarch, so UW can more easily get through mana disruption. Vial also facilitates multi-spell turns better than Hierarch. Mana dorks accelerate mana, but they still only make one, no matter the turn. Vial can produce up to three per cycle, meaning double Spell Queller turns. The other big distinction is in sideboarding. Both Bant and UW have access to the white hate cards, but green gives Bant some key extra options. Natural State is normally better than Disenchant; Qasali Pridemage is arguably better than Leonin Relic-Warder, etc. Bant also has access to Gaddock Teeg, arguably the best anti-combo and anti-UW Control card around. Specifically, he stops Supreme Verdict, planeswalkers, Engineered Explosives, and Krark-Clan Ironworks. This is balanced by Company getting worse the more non-creatures are in a deck, somewhat restricting Bant’s sideboarding options. There are also issues with running Collected Company. It’s a four mana card that has a random but significant effect. Sometimes you spin the wheel and hit the jackpot. Other times you whiff. This isn’t a deal breaker, but it can make it awkward when Bant uses Company in response to a spell, looking for Spell Queller, and ends up getting blown out by the whiff. The real problem is the mana cost. Company is very castable with 22 lands and five mana dorks. However, there are plenty of games without a dork where Company just rots in hand. None of these issues are problems in the attrition matchups (barring an active Liliana of the Veil), since there’s time to draw out of land problems, and any creature is better than none. However, when mana utilization is important, Company suffers. This is also why Company has historically been better in combo decks than as a value plan. On balance, UW is the best deck for me, but I don’t think anyone is wrong for playing Bant instead. Modern is a dynamic format where decks constantly jockey for a place in the metagame. Sometimes they have staying power like Grixis Death’s Shadow. Sometimes they have their success then gradually fade away like Lantern Control. Some are flashes in the pan like Grishoalbrand. Recent tournaments have showcased a few new decks, so naturally I’ve been testing against them. Based primarily on my experiences against them with Spirits, I’m skeptical of their staying power. UR Wizards had a very good result, but almost any deck can do that in Modern. This is especially true when the rogue factor is strong, as it was for Jeff Hoogland. Every time I’ve seen it in action, either watching or playing against it, I’ve been underwhelmed. It can do some powerful things and is devastating against the right decks, but against Spirits, it is severely underpowered. There may be a real deck inside Wizards, but it’s missing something. 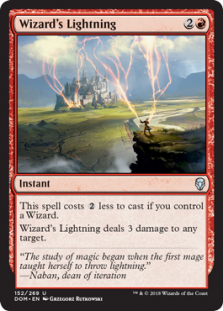 On paper, Wizards should be great against creature decks because it runs ten Lightning Bolts. However, that’s all it has. The only means Wizards has of gaining card advantage is Snapcaster Mage. Baiting a few Bolts then answering one with Rattlechains, or just Quelling Snapcaster, usually puts Spirits uncatchably ahead on cards and tempo. Wizards is all-in on Bolt being good and on keeping tempo in its favor. Contest either successfully and the deck fails. Hexproof is huge game against Wizards for that reason, as is toughness boosting. The real power of the deck is Nimble Obstructionist. Stifle is a powerful effect, and Obstructionist is uncounterable, which is devastating against combo and control. The problem against creature decks is that it costs three mana, and those matchups frequently involve tapping out every turn. Also, now that the word is out, it’s not that hard or burdensome to play around Obstructionist—opponents can simply activate abilities after Wizards has tapped its lands. Spirits is a better creature deck than Wizards. We can trade creatures at better rates than Wizards, have more of them, and can make them better. The only trump creature Wizards has is Grim Lavamancer, a two-of. When Delver flips turn two it can be threatening, but Spirits has so many ways to push back on the tempo that it isn’t always enough. After receiving roughly all the hype at the Pro Tour, BR Vengevine is Modern’s latest new hotness. Yes, I have heard that something similar has been floating around MTGO for some time, but until Stitcher’s Supplier arrived, it didn’t see mainstream success. As Jordan noted, it’s certainly looks like it has staying power in Modern. Naturally, comment sections are arguing it’s too strong and needs to be banned. To me, playing against BR Vengevine feels exactly like facing BR Reanimator in Legacy. You might be dead on turn one, but with every turn you’re not dead, the likelier you are to win easily. Both decks are geared towards blistering starts, dumping critical pieces in to the graveyard with Faithless Looting, and then creating a huge board. Both get wrecked if the right interaction is played against them. Also, both can fail without outside interference. They’re very much right-card combo decks; here, those cards must not only be found, but also put into the right zone. Otherwise, the decks do nothing. They’re made to act like drag racers, but there’s an equal chance they’ll just do a burnout, spending all their resources to go nowhere. I haven’t seen enough consistency from BR Vengevine to worry about the deck yet. Their best starts are soul-crushing, but I’ve been beating their reasonable starts with Spirits fairly consistently. While they’re dumping cards into the graveyard searching for Bridge from Below and/or Vengevine, I’m just playing Spirits and flying over their 1/1’s for huge chunks of damage. Adding the extra Remorseful Cleric has been a huge boost as well. Vengevine has no interaction beyond Walking Ballista, so running out Cleric turn two and just daring them to give you reason to pop it is incredibly powerful. I’m not dismissing Vengevine as a deck, but I haven’t seen evidence that it lives up to the hype. Despite supposedly dying after Gitaxian Probe was banned, Infect is creeping back into the metagame. The deck hasn’t noticeably changed in the last year, but the metagame has changed dramatically. Last year, interactive decks, particularly Death’s Shadow and Jeskai, were everywhere. However, players are moving away from spot-removal-heavy decks towards top-heavy control decks and linear creature decks. This is perfect for Infect. Losing Probe hurt a lot, but Fatal Push was even worse for Infect. 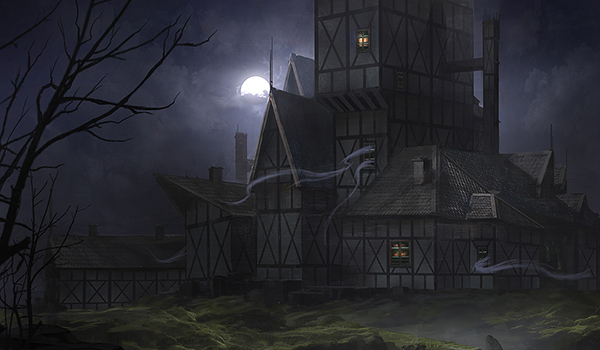 Like Bogles, the deck relies on a small number of creatures; unlike Bogles, they don’t protect themselves. This isn’t a problem when everyone is goldfishing, since turn two Blighted Agent, turn three triple pump spell is lethal. However, that isn’t possible against waves of removal. Now that it’s less of a concern, Infect has resurfaced. This is bad for Spirits, as it’s a creature deck without much creature removal. Spell Queller is not relevant interaction when the deck gets under Spirits so effectively. This is a huge reason why I still have Reflector Mage. Infect has existed for some time now, and can be beaten with enough interaction. However, Spirits doesn’t really have the right interaction in the quantity necessary to consistently win. Therefore, if Infect really takes hold, I’ll be moving back to Jeskai Tempo, and I suspect the metagame may have the same reaction, driving Infect away again until players forget about the threat. The metagame remains dynamic and I’m glad to see that new decks continue to emerge. It will be interesting to see if continued refinement turns them into real threats, or if the new hotness is just that and nothing more. In the meantime, I’ll be flying the spooky skies. I am a fan of spectral procession in spirit’s as it synergizes with the Lords and is insane with wanderer, just reconfigure the mana slightly and cut the non spirits. That is a fine plan, but it changes your matchups by quite a bit. This may not be a bad thing. However, if that’s the route you want to go splashing black and running Lingering Souls seems like a better option, especially because it’s easier to cast. I think Infect could benefit from Blossoming Defense and Temur Battle Rage. The question is getting the right balance. Defense protects from removal and Battle Rage gives any creature in the deck the extra push to get the damage needed.